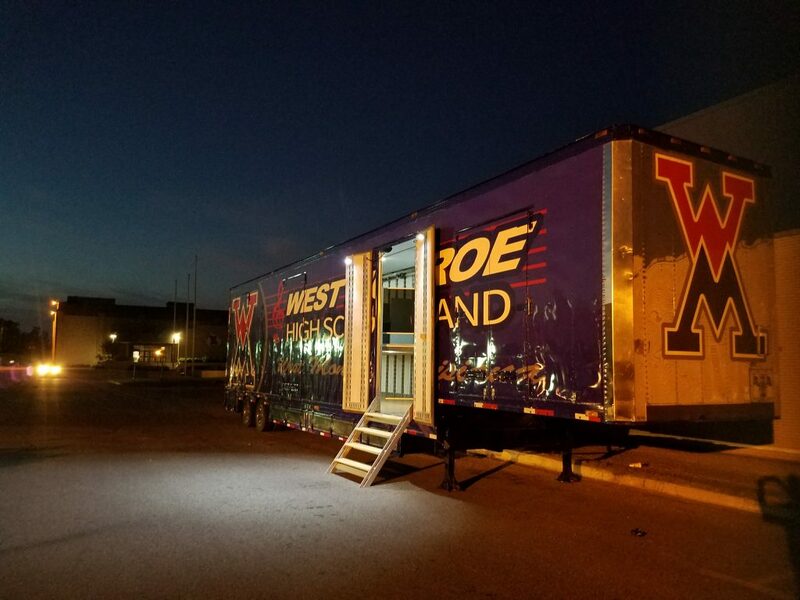 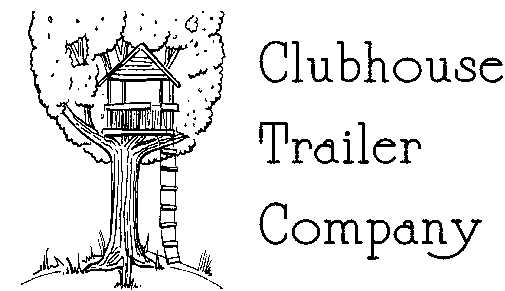 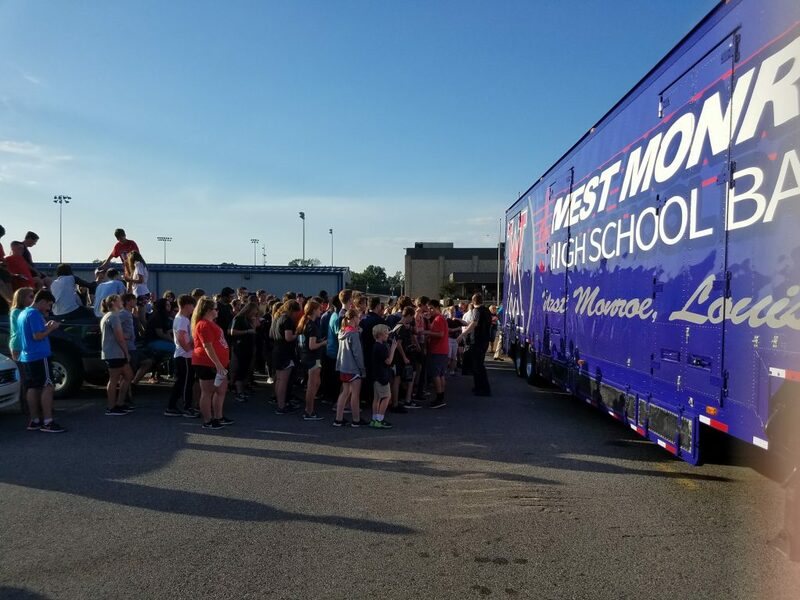 Trailer #018 is supporting the West Monroe High School in West Monroe, Louisiana! 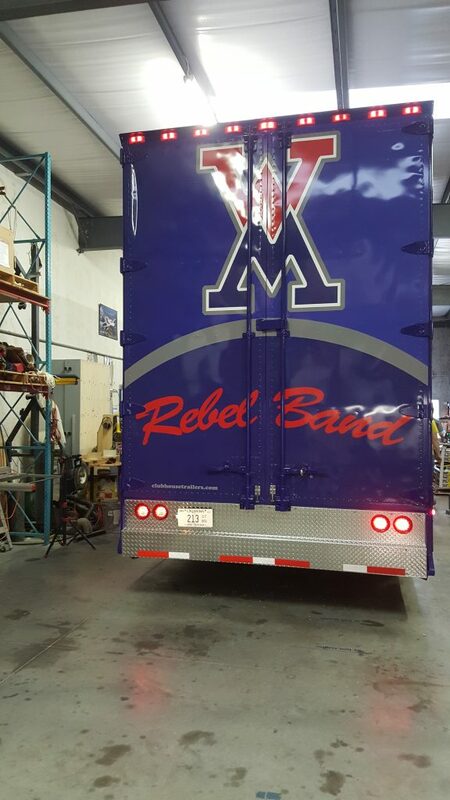 The great WMHS band program had this trailer outfitted with a beautiful paint and graphics combo, with our traditional layout, hydraulic rear ramp, director’s platform, Tubavator™ tuba lift, full two-row uniform rack room, full LED lighting inside and out, with a complete self-sustaining solar electrical system. 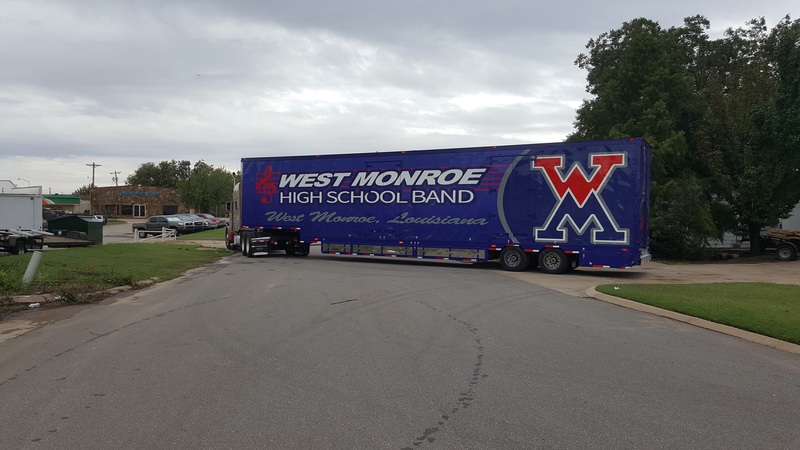 Check out some pictures from delivery below!